I'm not sure why these beets are so pink, but I am glad we are finally enjoying some success with one of my favorite root vegetables. The variety we're growing this year is called "Cylindra". 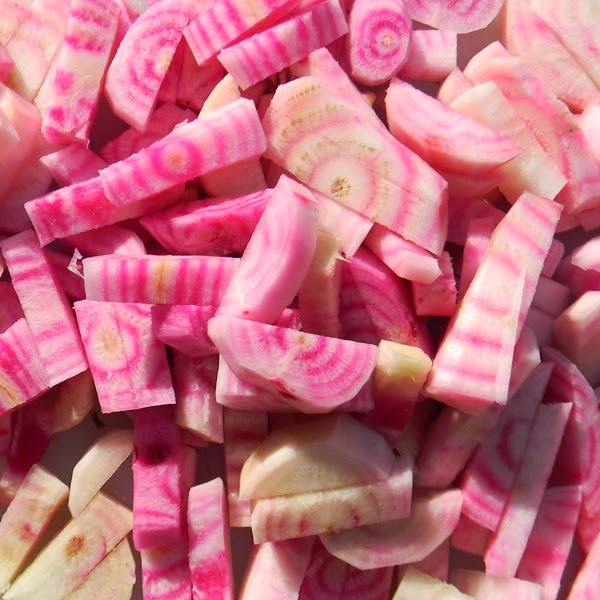 It's a longer type, rather than the typical round beet commonly grown. The beets in the top photo were added to a batch of kimchi (along with some homegrown daikons, hot peppers and cabbages, plus store-bought turmeric, ginger and garlic) and are now happily fermenting in the fridge. 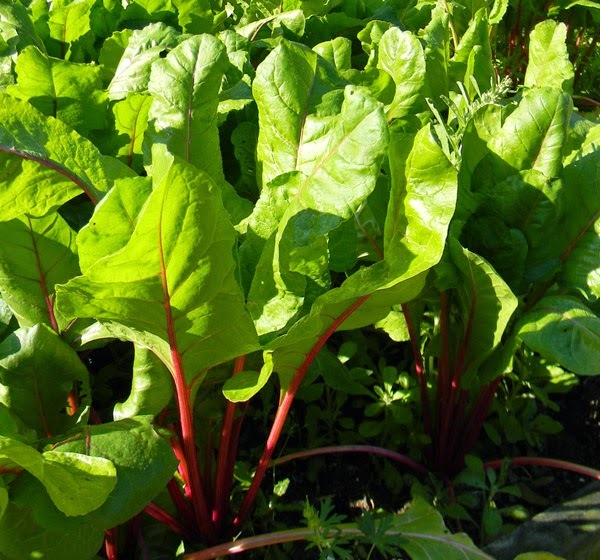 Beets also have nice greens, making them both a root and green vegetable. I'll have to take more pictures when I pull up this whole bed, which will be soon since the temperatures are rising. For now, I'm letting them get as big as possible in anticipation of beet-pickling day. Tomorrow I'll post a picture of some of our daikons - that's also been one of our nicest carryover crops from winter. 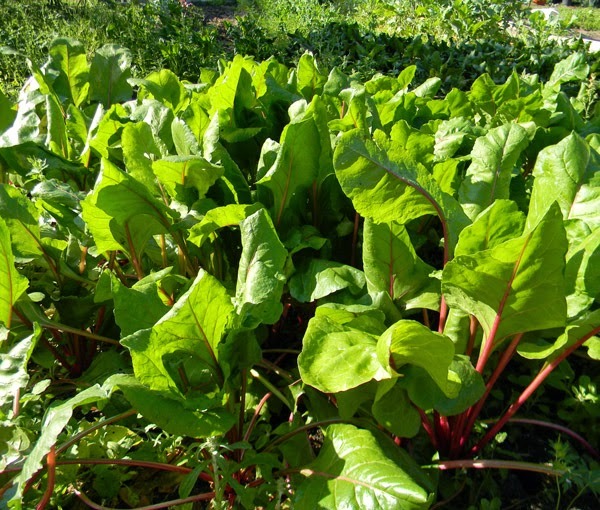 I love to see pictures of leafy green beets in the garden. Very inspiring. I still have 2 feet of snow on my upstate NY garden, but I will be ordering beet seeds this week. And I will be doing what you recommended in your excellent audiobook, "Survival Gardening Secrets".... I will order extra seeds, put them in a canning jar, and keep them in the refrigerator. A little seed bank... just in case. Better than money in a conventional bank, eh? The kimchi sounds good. I like beet greens on my sandwiches instead of lettuce. Turnip greens too. They've got to be better for you! Thank you - I think it's wise. As for snow, I can't imagine that. I never even saw snow falling until I was in my mid 20s.